Evolve Care Group has celebrated its second CQC Outstanding in less than a month. Heanton Nursing Home in Barnstaple, Devon joined the top 2% of adult social care services following an inspection in July. 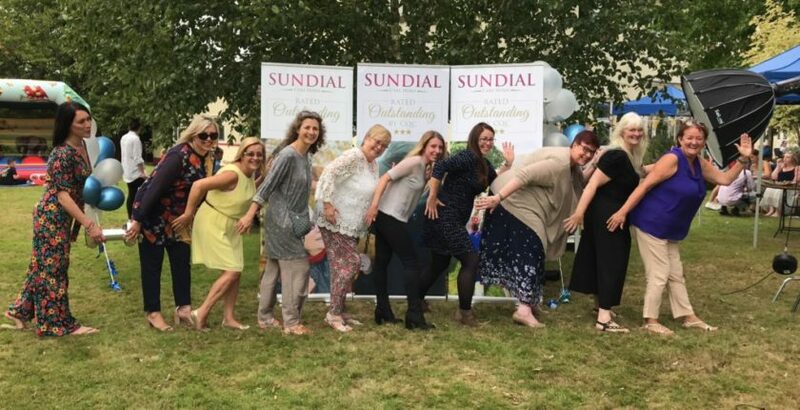 Evolve’s Sundial care home in Sidmouth achieved Outstanding earlier this month (see Innovative dementia care home gains Outstanding). CEO, Preyen Dewani, a former National Care Entrepreneur of the Year winner, said: “Our Evolve Household model of care was developed by our team of specialists who researched practices in Australia and the USA. “The model aims to create a homely, domestic environment for everyone living at their homes, who are referred to as ‘family members’. The CQC found that “people received outstanding care and were supported to have the best quality of life possible”. The report praised the staff, stating that carers created a friendly, caring atmosphere for those with dementia and other symptoms of illness. Home manager Paula Mascall said: “We strive hard to make the lives of those living with us, the best possible. The home prides itself on providing a bespoke service. We familiarise ourselves with all the family members’ preferences by knowing their individual life histories. I want to pass my thanks and congratulations onto the incredible care team we have here”. Evolve Care Group is rolling out a £75m growth strategy and has already invested over £1.5m, developing its pioneering new model of care for those living with dementia. The group is on the look-out for acquisition and new development opportunities.